Maintaining and sustaining a healthy inventory of aircraft begins with identifying the right buying opportunities. In this market, the supply of US aircraft is limited, so in-depth experience buying aircraft from around the world is essential for any major aircraft dealer broker. Properly acquiring a well-cared for aircraft requires a high level of technical expertise. With any jet transaction, not fully knowing the maintenance schedules or areas of concern on a particular make and model could quickly turn into costly, unexpected repairs and downtime. 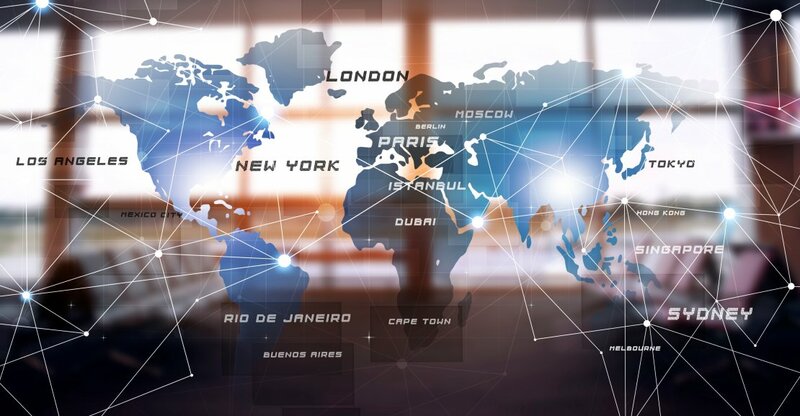 The importance of having a proven, process driven methodology for executing aircraft transactions is exemplified during an international transaction. An in-depth knowledge about the process of importing and exporting aircraft is critical to completing an international transaction in a minimal amount of time. Our process and knowledge were verified in a recent instance which involved the purchase of a 2010 Hawker 900XP from a seller in Istanbul Turkey. During our initial evaluation of the Hawker 900XP aircraft for purchase, we reviewed ownership and maintenance history to help determine that it was a good candidate aircraft. We came to an agreement on price, verified the history, and confirmed that the maintenance records were complete, acceptable and in English with a credible maintenance provider, we then decided to proceed with the transaction. Once we have made it through the initial evaluation, as in the case of the Hawker 900XP, we had one of our factory trained Hawker mechanics travel directly to the aircraft in Istanbul for a review. The aircraft had recently completed a series of heavy inspections that we needed to review as well. Through a review of their results, we decided to use the inspections as part of our pre-purchase inspection process. Our mechanic completed an in-depth assessment of the aircraft for a week and a half. During this visit, he executed an ops check, logbook analysis, corrosion review and a flight test. After our team completed the necessary maintenance review, we decided to proceeded with the purchase of the airplane. During the import of the aircraft, this Hawker 900XP had to physically clear customs in the United States. The aircraft was flown to Bangor, ME, where we purchased a bond, and, during this stage, the customs agent reviewed and filed the required paperwork. After the aircraft cleared customs, we flew the airplane to our Moline IL facility to complete the closing process. The next step in the process was for the seller to deregister the airplane and provide proof of deregistration acceptable to the FAA. Once that was done, we closed on the airplane and the FAA issued an N-number. At that point, we owned the airplane but needed to have an Airworthiness Certificate (AWC) issued by an FAA Designated Airworthiness Representative (DAR). We completed a B and C inspection of the aircraft at our facility and our QC department then worked with the DAR to issue the AWC. Shortly after bringing the aircraft to the Elliott Aviation headquarters in Moline, IL we found a buyer, we worked with the buyer, allowing them to use our B and C inspections as their pre-buy. After closing, they decided to complete new paint and partial interior with Elliott Aviation’s paint and interior team. After we signed the initial purchase agreement, it was a 60 day process to complete our acquisition and deliver the airplane. This included the inspection in Istanbul, aircraft acceptance, aircraft flight to Moline, deregistration from Turkey, reregistration on the United States registry, funds transfer/closing, ADSB out installation, completion of the E and F inspection and issuance of the AWC. The process of buying a high-quality aircraft locally or from around the world requires knowledge, a proven process and in-depth experience. As shown with this Hawker 900XP, there are many additional steps taken when importing an aircraft. This can cause difficulties without the right level of experience. Choosing a partner that has an established process and extensive experience importing and exporting aircraft will ultimately save you time, money and trouble.